The Dow was up 2.3% for the week–the first time in seven months that it has had back-to-back weekly gains of 2% or more. New Labor Department data, released on Friday, showed that improved unemployment is widespread. The jobless rate fell from April in 37 states. “The recovery has spread out,” was one statement by Steven Cochrane, an economist at Moody’s Analytics. The U.S. has added nearly a million jobs since the recession in December 2009. Including some temporary jobs that will soon disappear. States with big manufacturing and natural resource sectors like Texas and Indiana have enjoyed a steady growth. All this was reported in the Wall Street Journal this past weekend. One bit of evidence that the job market, though still weak, has bottomed out: No state showed a statistically decrease in unemployment over the month the article continued to state. Plus, “Confidence about leaving jobs shows improving economy”, was a headline by the Associated Press last week as well. More folks quit their jobs in the past three months than were laid off. This trend suggests the job market is improving. One sign of economic improvement is when more people start finding jobs. Another is when they feel confident enough to quit them the same article said. Texas, as a whole has an 8.3% unemployment rate. San Antonio-New Braunfels share 7.1%. While Gillespie County has the lowest which I believe is still below 5%. Compared to the rest of the Nation, I would say we-San Antonio/Austin and the Texas Hill Country, are doing quite well. Travis Tullos, a Texas economist stated further in the S.A. Business Journal, ” I haven’t felt this good about the San Antonio economy ever”. Mr. Tullos expects that San Antonio can regain much, if not all, of the economic momentum it enjoyed prior to the economic crisis. Again, what happens in San Antonio/Austin can and does spill over into the Texas Hill Country. Capital Farm Credit’s Fredericksburg, Kerrville and Mason offices recently awarded 10 area seniors with the $1000 Hill Country Regional Scholarship. Lauren Lyssy and Sean Scott, Bandera High School; Ashley Skeels, Boerne High School; Heather Rode and Mollie Lastovica, Fredericksburg High School; Kyle Hosrton and Tana Radtke, Harper High School; Nolan Brown Ingram High School; Jessica Stapper, Junction High School and Jase Ball, Llano High School. These are students planning to pursue a degree in an agricultural or educational realted field of study. Congratulations to these great students! Just had another delicious lunch at Kelly’s Restaurant. Their special today was a Barbequed Peach chicken breast – very tasty. One of their waitresses, Lisa, is a bundle of energy with a smile, joke and friendly welcome as well. Becky is another waitress who enjoys people and it shows! They serve lunch and dinner indoors or outside on their patio. Some of my favorites are their tuna salad, grilled salmon, panfried crabcakes and quesadillas…..with a different twist. They also have daily soup specials and a farm fresh salad that is colorful and tasty. Kelly Rogers is the chef and owner of this delightful restaurant. They are a family friendly cafe offering handcrafted American food. I think you’ll enjoy it whenever you go! Join the fun when Luckenbach Texas celebrates Waylon Jennings’ birthday on Sunday, June 20 beginning at 1:00 p.m. Entertainment will be by Brigitte London, WC Jameson, and Mary Cutrufello during the day; followed by featured entertainers The Waymores. Cost per ticket is $10 with proceeds going to benefit diabetes-related charities. Luckenbach is located on RR 1376, just off Hwy 290 E. For information, call 830-997-3224 or toll free 888-311-8990 or visit www.luckenbachtexas.com . As part of its Saturday Family Fun, the Gillespie County Historical Society will host a special Children’s Tea Party for children age 4 to 10 and their parents and grandparents this Saturday, June 19 at the Pioneer Museum at 325 W. Main St. in Fredericksburg. Party times are 10:00 a.m. until 11:30 a.m. and 1:00 – 2:30 p.m. Cost is $10 per person and includes museum admission. For information and reservations, call 830-990-8441. To learn more about the museum visit www.pioneermuseum.net . Celebrate the best peach crop in years during the annual Stonewall Peach JAMboree and Rodeo—Friday, June 18 and Saturday, June 19. Located just minutes east of Fredericksburg on Hwy 290, Stonewall offers two days of wholesome fun during this event. Activities include the crowning of the Peach Queen, a community parade at 10:00 a.m. on Saturday, and of course, the exciting nightly rodeo at 8:00 p.m. followed by a dance! Plus there will be great food and music! In addition, the Sauer-Beckmann Living History Farm at the Lyndon B. Johnson State Park & Historic Site on Hwy 290 E. will have special events planned throughout the day in honor of the JAMboree. For JAMboree details, including ticket pricing and dance headliners, call 830-644-2735, and for more about Sauer- Beckmann, call 830-644-2252. The Jamboree website is www.stonewalltexas.com . Last Saturday I drove to Kerrville with my cousin, and as we drove into town we saw American flags lining the highway with people just standing around. We didn’t know what was all about – was it a parade or was it another young soldier who had lost their life fighting for our freedom? As it happened it was a young Marine from Kerrville who had been killed in Afghanistan. A few hours later as we were leaving there were large crowds of people, young and old, holding flags, wearing red, white and blue solemnly standing along the roadside waiting for the funeral procession to drive by. It reminded us of our own dear young men, Phillip Neel and Chris Staats who were killed while fighting in a country far away. It also reminded us of why our country is so great when people can show their patriotism and respect without fear of being tortured or jailed. We take the freedoms we enjoy for granted and go about our everyday life not worrying about if there is a bomb on the road in front of us or if the person walking toward us is a suicide bomber. On Memorial Day we remembered the ones who had fought and died so we could enjoy our family and friends. On Veterans Day we will thank the veterans who fought for our country – some who were never thanked for the time they spent away from their family to defend our freedoms. Let’s never forget the sacrifices these men and women made as we enjoy summer activities with our family and friends. 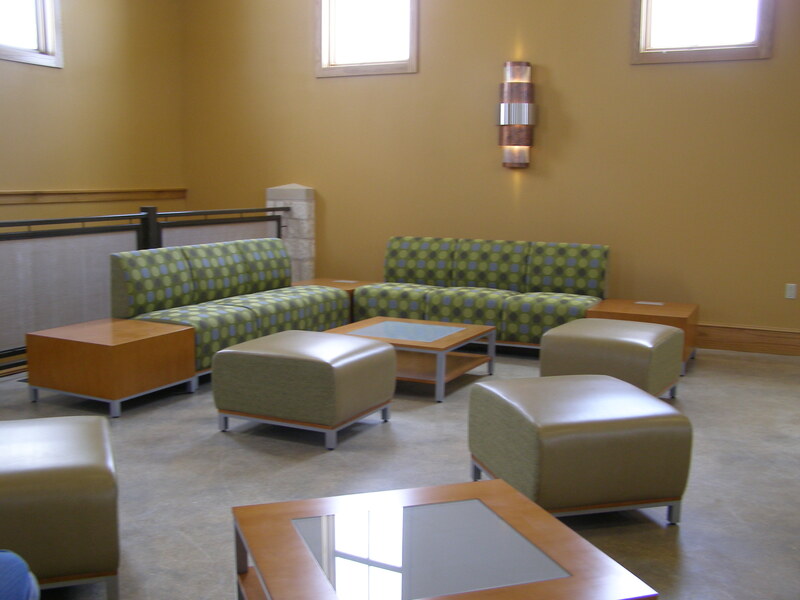 The Hill Country’s University now officially open in Fredericksburg. 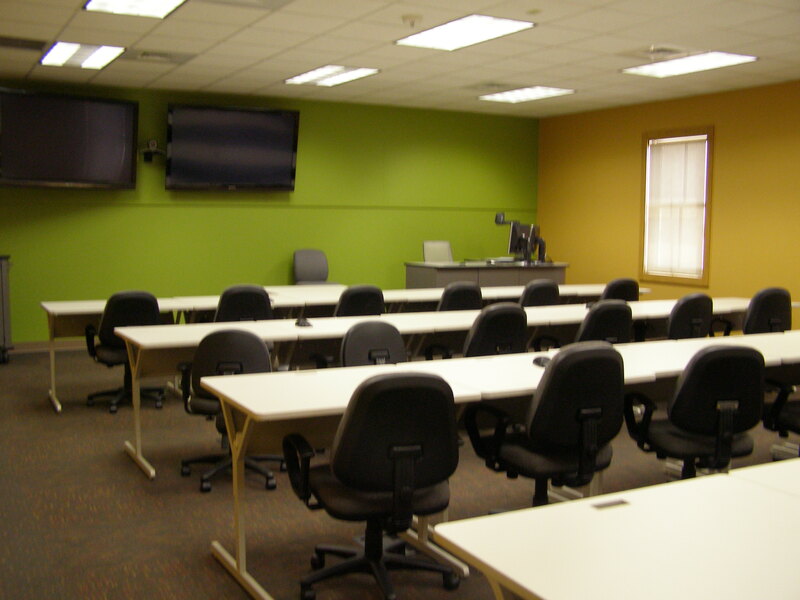 Tuesday was the first day for classes in the new facility. 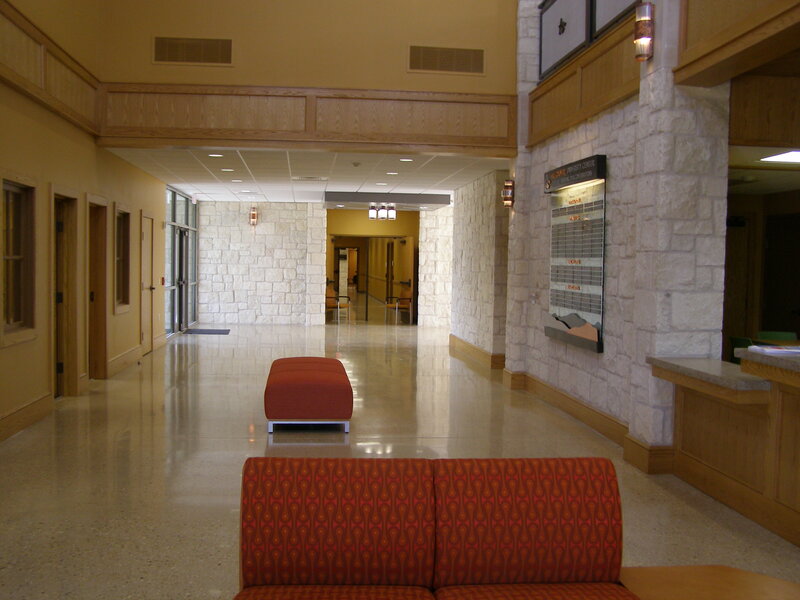 From bachelors to doctoral program, Hill Country University Center provides an affordable and local solution to higher education. Austin Community College, Texas Tech University, Angelo Sta…te University and Concordia University are the academic partners at the Center. The Hill Country University Center offers an innovative partnership to fill the critical need for nursing, education and business degrees as well as workforce training in the Texas Hill Country. Underserved and non-traditional students in our region, who otherwise may not advance their education due to economic or geographic barriers, are now able to begin or go back to school without interrupting their lifestyle. The 24,000 sq.ft. 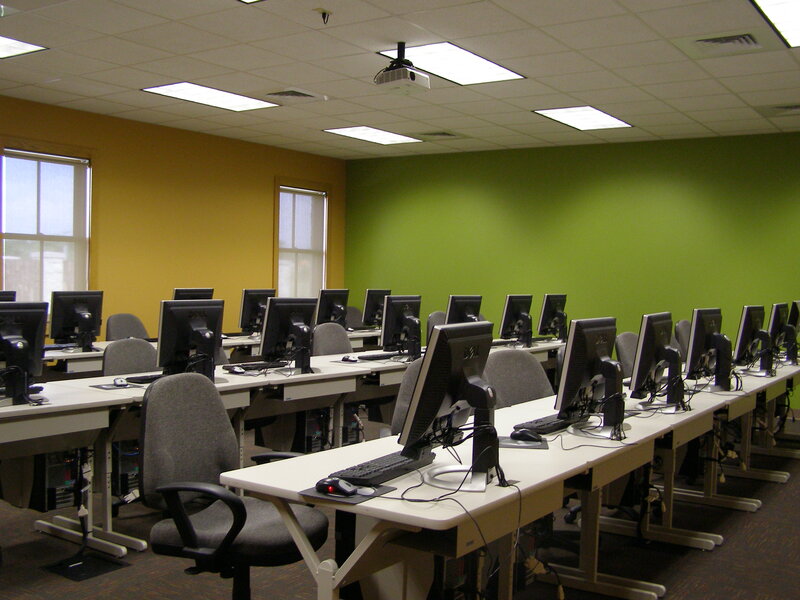 Academic Center opened in the summer of 2010 including state-of-the-art classrooms, science and computer labs, student lounge and bookstore, and faculty support space. 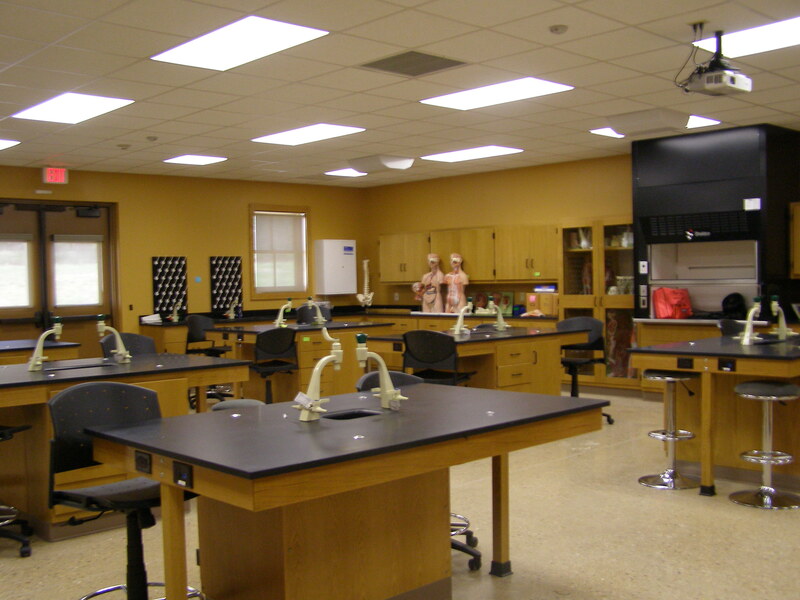 This beautiful, state-of-the-art facility includes four classrooms, two lecture halls, science lab, computer lab, bookstore, and support space for both students and faculty. This will enhance the offerings of our many educational providers and allow us to reach more deserving students in our region. June 4, 2010 Posted by c21sunset | Uncategorized	| Comments Off on The Hill Country’s University now officially open in Fredericksburg. Volunteer Living History re-enactors will present three shows each day earlier in the weekend, Saturday and Sunday. The 75-minute shows begin each day at 10:30 AM, 1 PM and 3:30 PM at the Pacific Combat Zone on East Austin at Elk Streets, located two blocks east of the Museum. Visitors will learn about the American and Japanese forces as they prepared for battle on a Pacific island. Weapons will be discussed and demonstrated. All of these weapons will be used in a final attack on the Japanese-held island. Attendees will feel the rumble of a Sherman tank as it moves past the audience and onto the battle field. The only operational WWII flame-thrower in Texas is used in the final assault. Appropriate for the entire family, admission is $5 for adults and $3 for children over six years of age. Tickets are available at the Pacific Combat Zone before each program or in advance at the Admiral Nimitz Museum or at the George H.W. Bush Gallery. 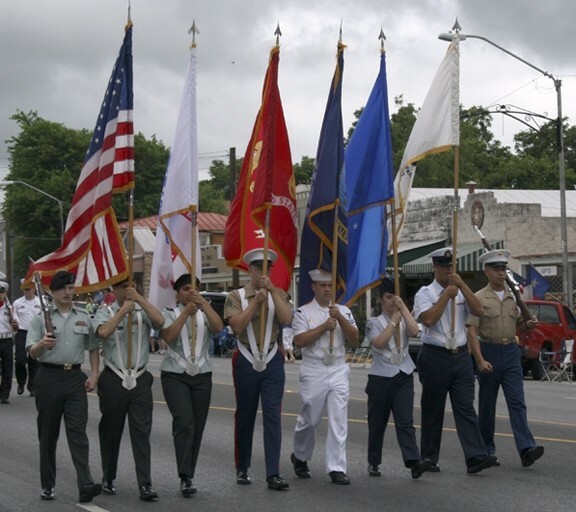 Senator Kay Bailey Hutchison and Land Commissioner Jerry Patterson will speak at the Memorial Day Observance at the National Museum of the Pacific War in Fredericksburg. The senior Senator from Texas will be offering welcoming remarks and the Commissioner will be making the keynote address. The ceremony begins at 10 AM Monday, May 31st in the Memorial Courtyard of the Museum at 311 E. Austin Street. Senator Hutchison was elected to the US Senate in 1993 in a special election, the first — and to date the only — woman elected to represent the state in the Senate. She has been re-elected three times. She is the Ranking Member of the Senate Commerce Committee and serves on the Appropriations Committee. She is the former Chairman and now Ranking Member on the Appropriations Subcommittee on Military Construction and Veterans Affairs. The Senator grew up in La Marque, Texas and graduated from the University of Texas and the UT Law School. Prior to her election to the Senate, she was a member of the Texas House of Representatives and was elected state Treasurer in 1990. Commissioner Patterson is a native of Houston, a Texas A&M graduate and a Marine, retiring as a Lt. Colonel in 1993. He was a pilot in Vietnam. Five consecutive generations of Patterson’s family have served our nation in time of war. His son, a Marine attack helicopter pilot, recently returned from his second tour of duty in Iraq. Patterson is only the second Republican to serve as Land Commissioner since Reconstruction, a post he has held since 2003. Prior to this, he represented the Houston area in the Texas Senate. He chaired the first Veterans Affairs Committee in the Senate where his legislation created the state Veterans Home Program. Established in 1836, the Texas General Land Office is the oldest state agency. As Land Commissioner, Patterson is primarily responsible for the management of 13 million acres of state mineral, surface and submerged lands for the benefit of the Permanent School Fund. 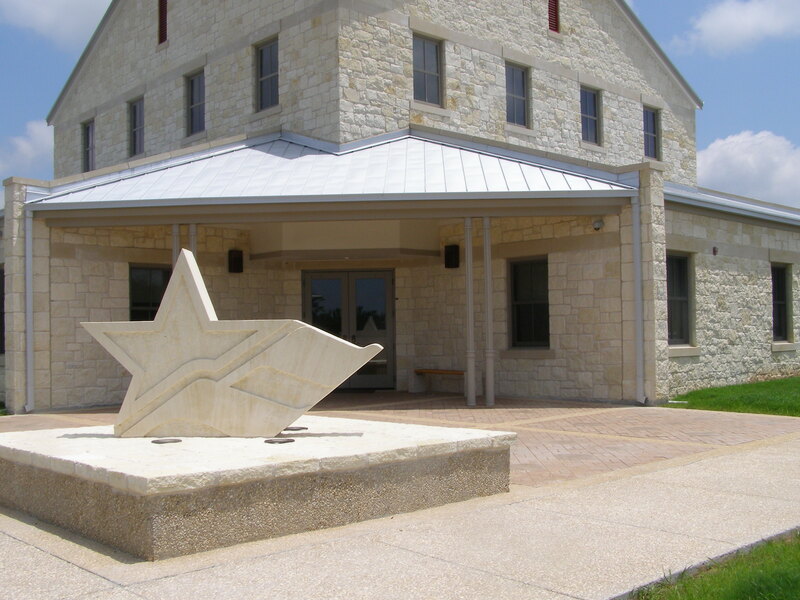 The Land Office also acts as the steward of the Texas Coast, provides benefits for Texas veterans and protects the historic documents in the Land Office Archives. Upon the Conclusion of the Memorial Day ceremonies, more than 50 commemorative wreaths will be place at various plaques that are lining the limestone walls of the Courtyard. Each will be placed in honor and remembrance of a unit, ship or individual who served in World War II. Honoring those who have paid the supreme price in the current War on Terrorism will be Mrs. Lorna Eckhardt. She will place a wreath in honor of her son, Christopher “Chris” Staats, a native of Fredericksburg, who was killed by an IED in Afghanistan on October 16, 2009. At the time he was serving with the National Guard on a farm imitative program assisting the Afghan people.